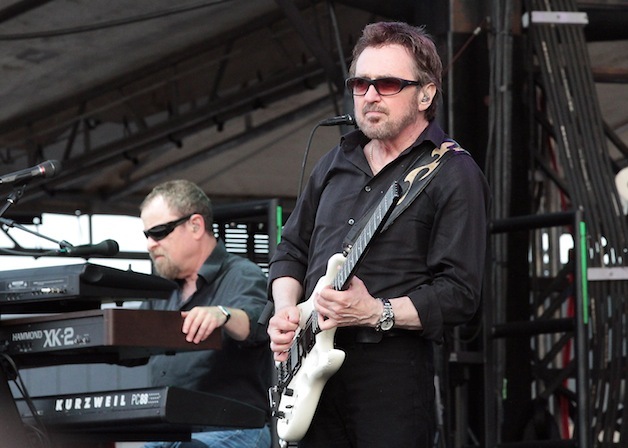 Blue Oyster Cult – L-R: Eric Bloom, Donald “Buck Dharma” Roeser. Photo credit: Kurt Dorr. Since 1988, the Exchange Club of Naperville has hosted its annual Ribfest event to benefit the cause against child abuse and domestic violence. The event includes a healthy side of music to accompany its main course of local barbecue and carnival atmosphere. Playing in full daylight might be counter to the mysterious and eerie mood of Blue Öyster Cult’s best-known singles. Nonetheless, the veteran band from Long Island delivered an entertaining set with tales of alien encounters (“The Vigil”) and grim tidings (“Harvest Moon”) to the dinnertime crowd on Sunday at the 27th annual Ribfest. The band opened with the sinister boogie of “The Red and the Black” and its winking nod to the Royal Canadian Mounted Police. True believers up front roared approval, while thousands more stretched into Knoch Park on lawn chairs and blankets. Founding member Donald “Buck Dharma” Roeser took the first of many solos on his distinctive white Steinberger guitar. His partner and co-founder Eric Bloom played reliable and chugging rhythm on a classic Gibson SG emblazoned with the band’s hook-and-cross logo, the alchemical symbol for lead. Bloom engaged the crowd early and often, beginning with a competition to learn whether the Ribfest audience was comprised of more Cubs fans or Sox fans. The magnanimous Bloom declared a draw, although the Sox supporters in attendance were surprisingly louder. “I’m a Rangers fan, myself,” he said teasingly, after polling the Blackhawks faithful. The most important fans on Bloom’s mind, though, were rock and roll fans. 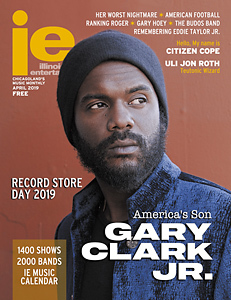 “This song is about women, beer, motorcycles and partying,” he said when introducing “Golden Age of Leather.” The musical toast to past glory began with an a capella section of smooth three-part harmony, signifying one of the band’s trademark talents. “Burnin’ For You” from 1981’s Fire of Unknown Origin album presented another key piece of the Blue Öyster Cult puzzle, as Roeser effortlessly shifted from confident vocal and rhythm guitar to evocative lead guitar. Casual fans that associate the band only with the menacing tone of radio hits like “Burnin’ For You” and “(Don’t Fear) the Reaper” ignore the humor made obvious by songs like “Godzilla.” To help drive the point home, Roeser’s famous tone and supple, master-class rock solos were delivered on a guitar with a body carved to look like Swiss cheese. “Something big’s coming this way,” said Bloom as a soundtrack recording played the sound of thundering footsteps. “Uh oh, there goes Carbondale,” he added. “Nobody’s going to miss it.” There were apparently a few Southern Illinois University alumni in the crowd, as Bloom’s joke earned a few cat-calls of mock offense. The band then launched “Godzilla” as Cubs icon Ronnie Woo Woo passed through the crowd. Bassist Kasim Sulton took his solo during the song. Afterward, as Bloom called out his bandmate’s credentials, Sulton played famous riffs from his time with Joan Jett and the Blackhearts, Todd Rundgren and Utopia, and Meat Loaf. “Buck Dharma” took the spotlight next, playing a dreamy solo filled with skittering, delayed notes and chiming harmonics. From there, Roeser transitioned into the familiar introductory riff of “(Don’t Fear) the Reaper. The vocalists glided through their effortless harmonies. The good-natured Bloom briefly mimed Will Ferrell’s famous “more cowbell” skit. The band took no encore, electing to stay on stage for the maximum possible duration. “That’s all we have time for,” said Bloom as the band waved goodbye to a sea of faces. The festival-length set list was compact at only eleven songs spanning BÖC’s 42-year career, but the band packed thrills for newcomers and die-hards alike into their allotted 90 minutes. Burnin’ For You was my featured cut in my old band. Give the drummer some! Great review of another great BOC show!